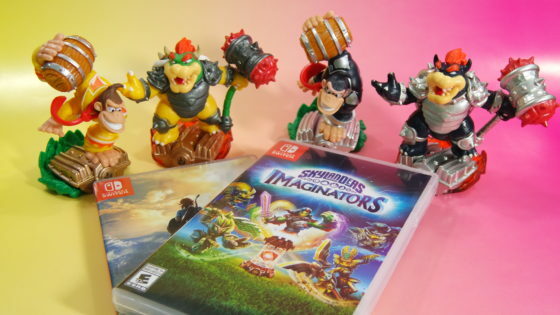 The past few days I’ve been loading in all of my Skylanders to Skylanders Imaginators for the Nintendo Switch. I am also loading in my amiibo characters into The Legend of Zelda: Breath of the Wild in order to get tons of extra gear. I realized that there are four Skylanders toys that pull double duty. They act as Skylanders and also amiibo figures. The Skylanders are Turbo Charge Donkey Kong and Hammer Slam Bowser and also their dark versions. I’m sure that people already know this but I wanted to point it out when you were thinking about loading up your amiibo into Breath of the Wild.